Castile is a robust design with sweeping curves and unique coloring. 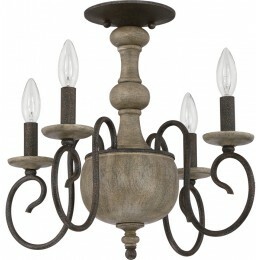 The fixture body is comprised of real wood stained in a soft grey wash that enhances the beautiful grain. The arms are finished in a rough textured Rustic Black. 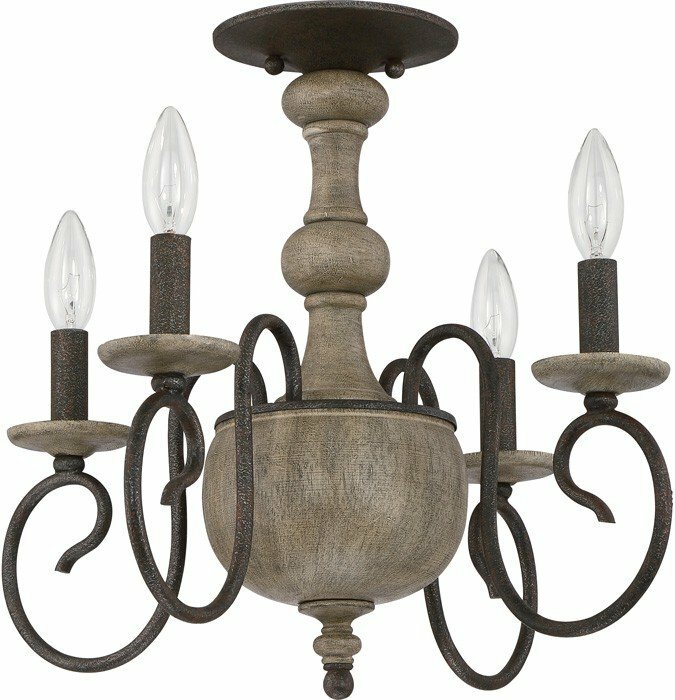 The Quoizel CS1718RK Castile collection Close to Ceiling Lighting in Rustic Black uses Incandescent light output and brings Rustic style. This item is 15.5"H x 18"W x 18"L. The wattage is 60. 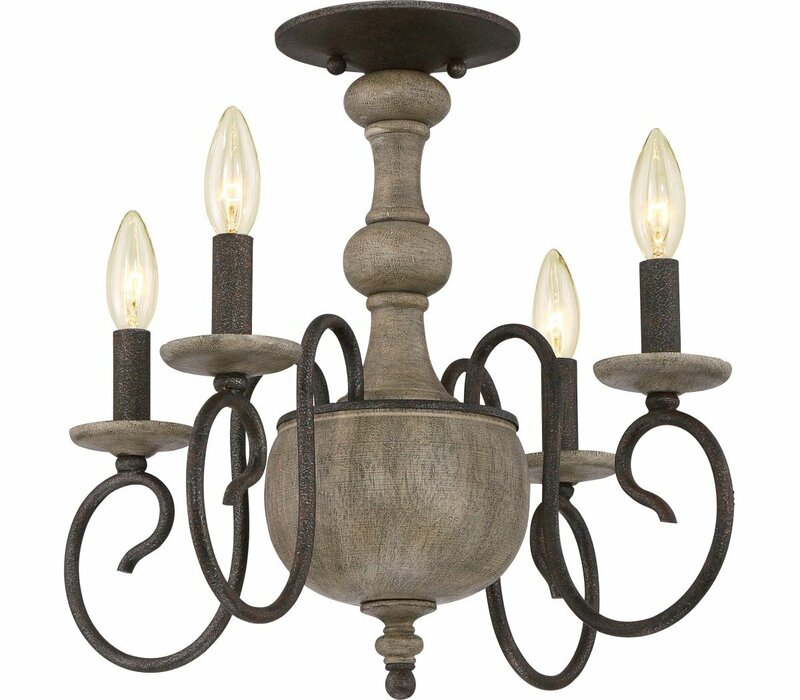 The Quoizel Lighting CS1718RK requires 4 bulbs (not included).